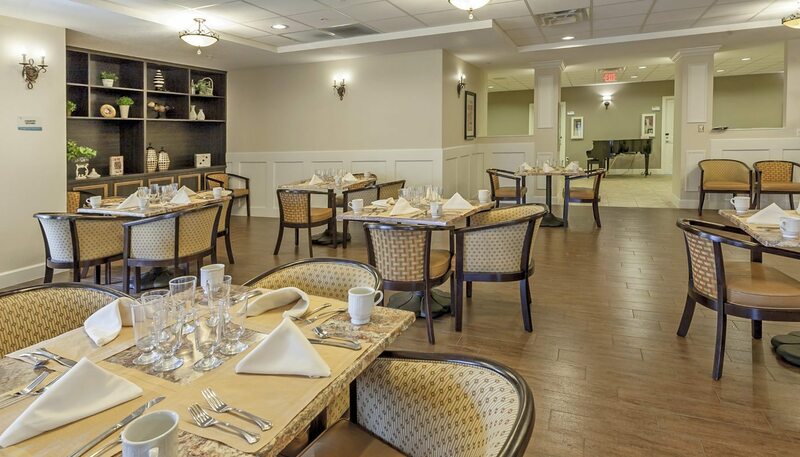 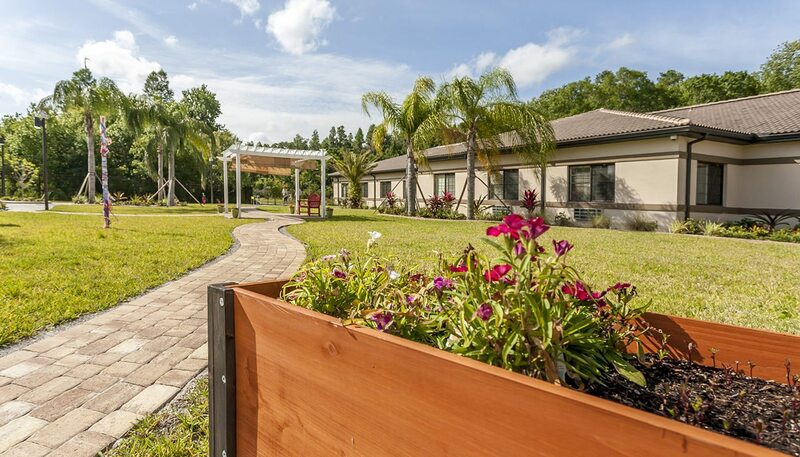 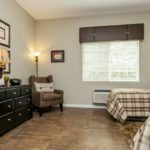 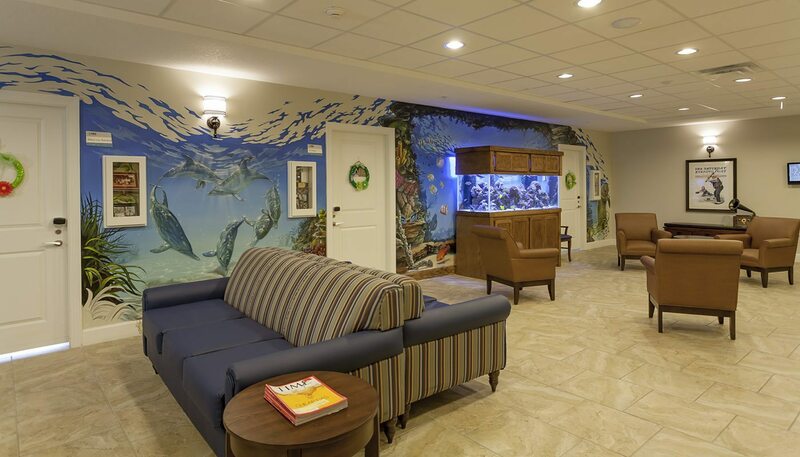 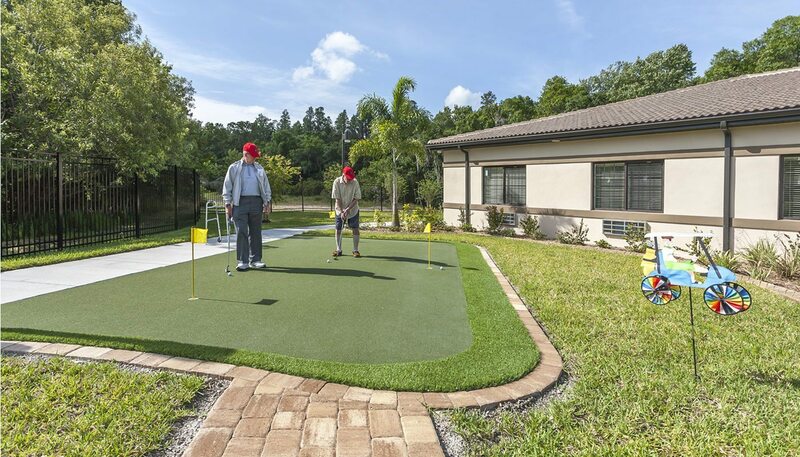 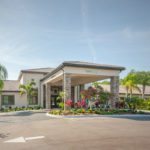 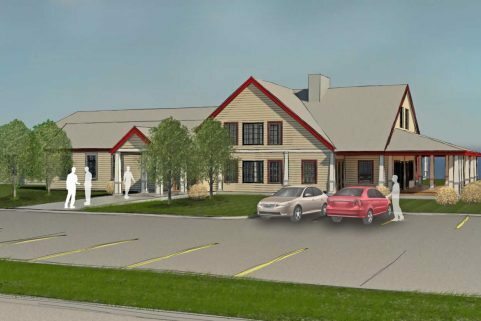 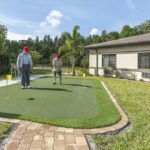 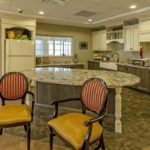 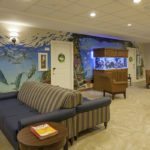 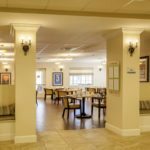 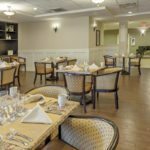 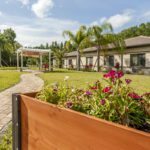 WBRC has designed several memory care and combines memory care and assisted living facilities, built by NDC Construction Company and created by a team of long-term care experts, investment capital professionals, facility operators, and design professionals. 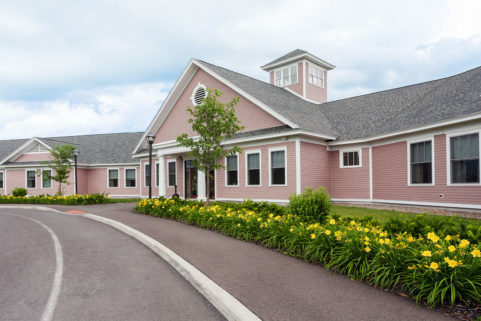 While each facility offers a proven programming format, each building layout maximizes the unique attributes of the specific building site, traffic patterns, and natural amenities such as waterfront views. 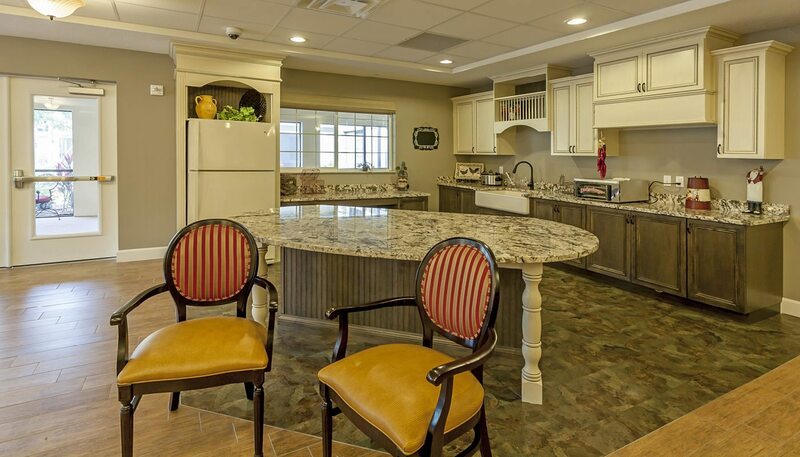 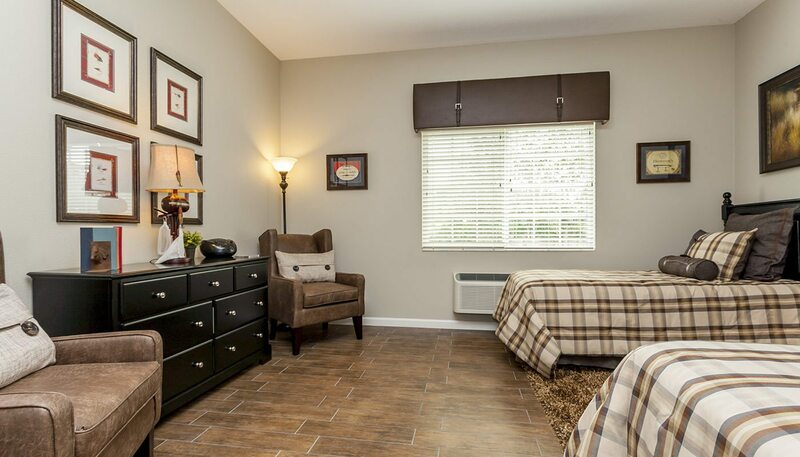 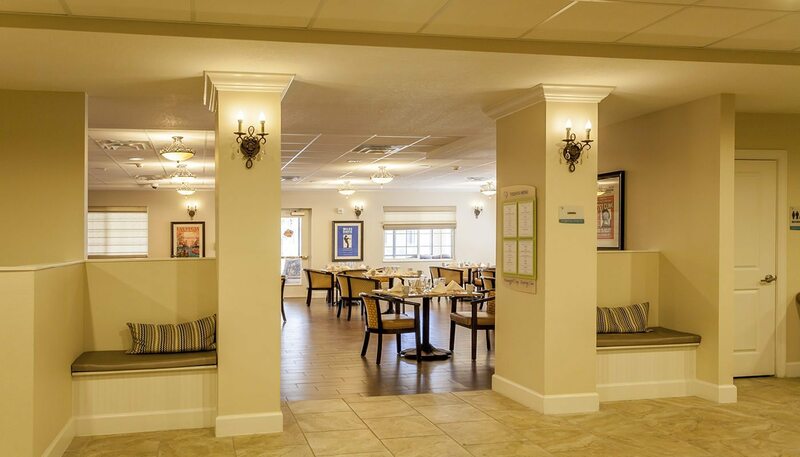 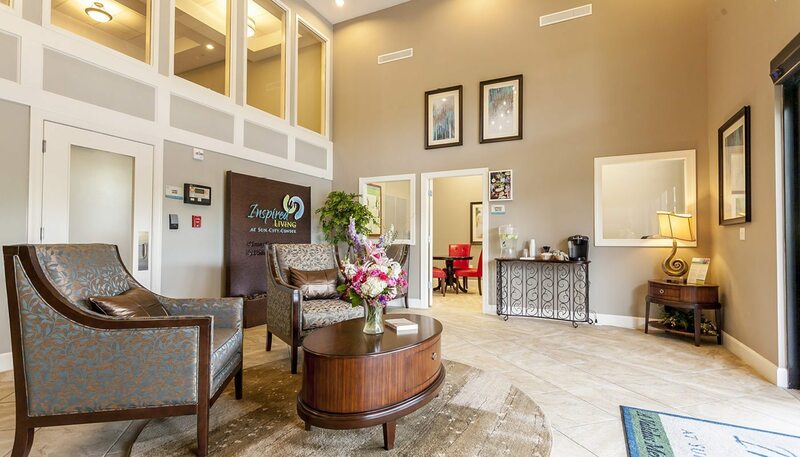 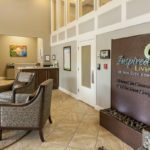 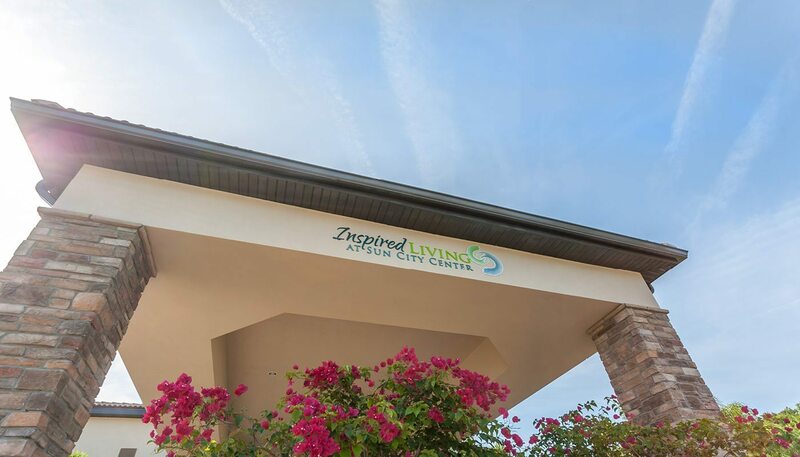 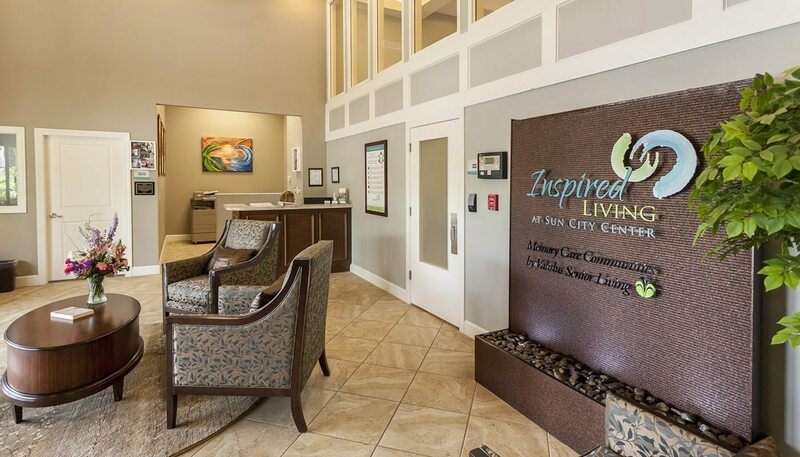 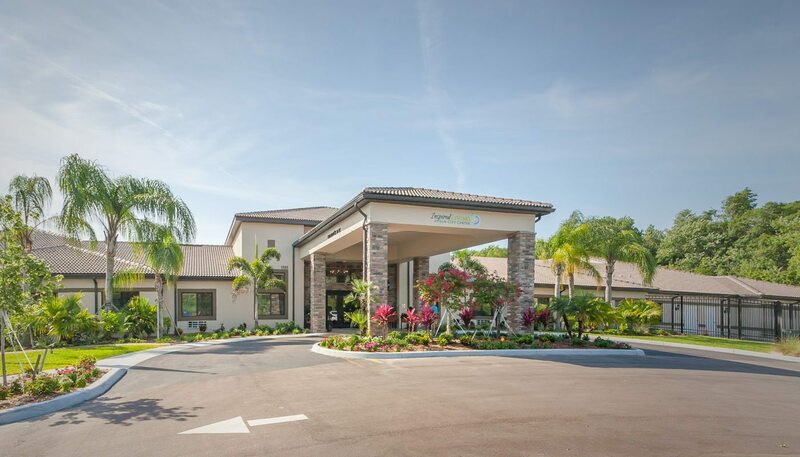 At Inspired Living at Sun City is a 33,015 SF single-story memory care facility for 84 residents in 58 resident rooms. 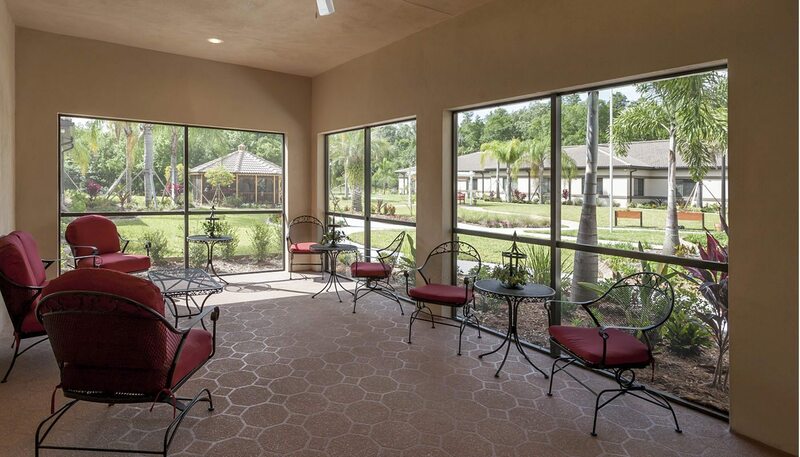 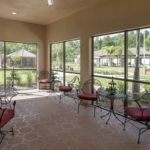 Common areas consist of a central lobby with adjoining offices, conference room, resident living room, two dining rooms, a commercial kitchen, hair salon, and three outdoor covered screen rooms. 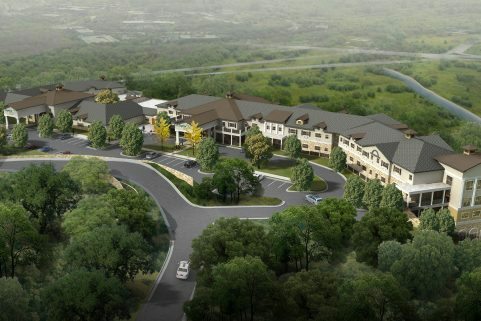 The project is located on a site overlooking a conservation area. 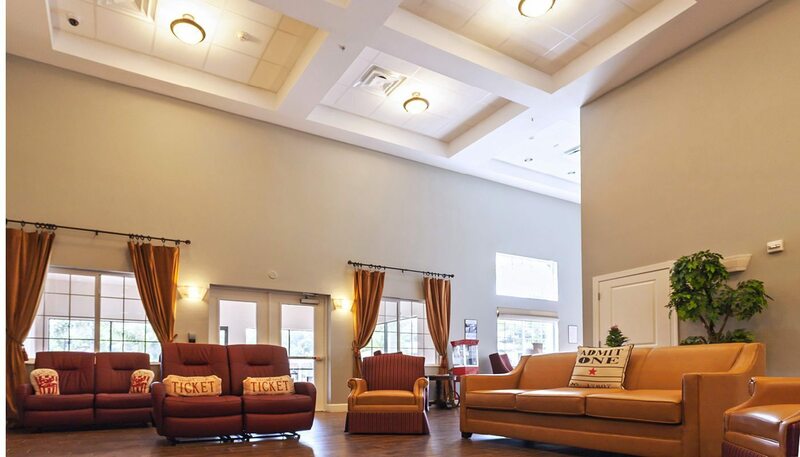 Each Inspired Living facility has a customized interior look and feel, yet all pay special attention to resident safety and include secure entrances and enclosed outdoor spaces. 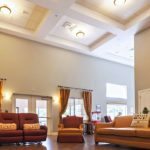 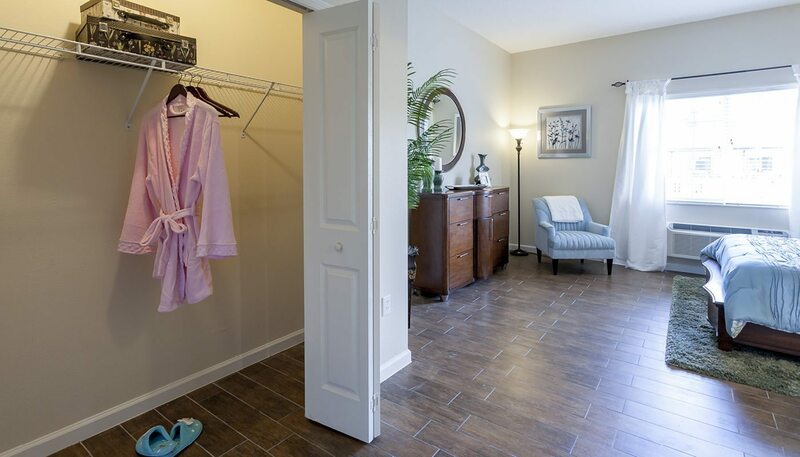 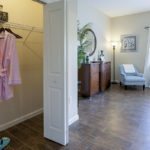 Other safety-oriented details include the elimination of door and shower thresholds, and research-based lighting levels and finish colors to enhance the safety and well-being of residents, especially those afflicted by Alzheimer’s disease and similar ailments. 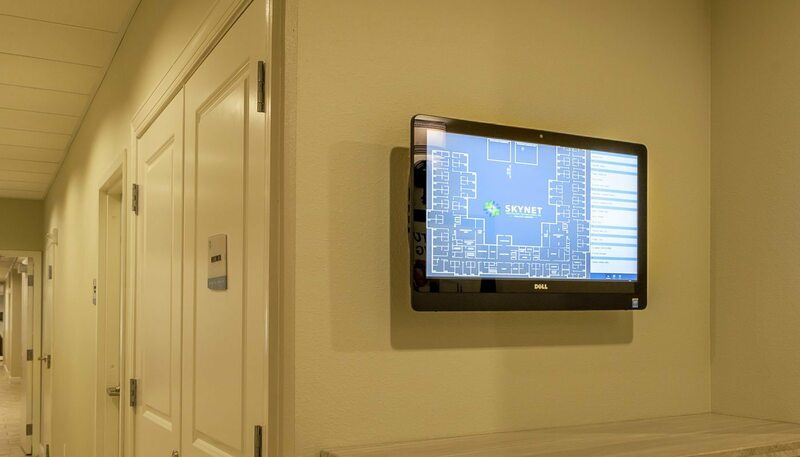 Technology is also part of the design. 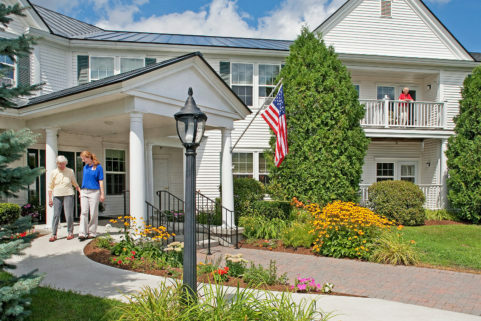 To help insure the best possible memory care, a state of the art resident tracking system monitors resident movement and message staff if atypical behavior is detected. 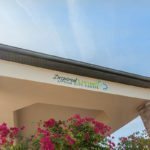 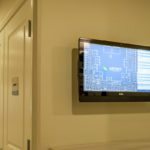 The technology is also linked into the facility’s camera system to allow friends and family to check on their loved one through a secure website.